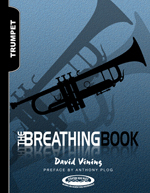 Trumpet players need to breathe well in order to play well. This book teaches breathing based upon anatomical accuracy. Images and descriptions provide important information about breathing, and playing activities apply this knowledge to trumpet playing in musically meaningful ways.